Continuing the tradition started last year, The Bitcoin Foundation of The Netherlands — stichting Bitcoin Nederland — conducted one of its periodic polls during Bitcoin Wednesday on 4 May 2016 to determine its priorities for the digital currency community. Just like in the past, the discussion and voting were open to anyone to participate. These poll results give us a new number one item, involving students and encouraging academic involvement with 39 votes. Supporting non-financial applications was close behind with 38 votes, and explaining the blockchain came in third place with 31 votes. As one of the most visible activities of the Foundation, Bitcoin Wednesday has a 3-year history of raising awareness and providing educational opportunities to anyone interested in the revolutionary blockchain and its many uses. The Foundation is already involving more students: Bitcoin Wednesday on 4 March, 2016 was held at the University of Amsterdam’s Crea Theater, and was well-attended by students. Our 6 April, 2016 edition featured 13 presentations created by students of the Royal Academy of Art, and we’ve already arranged for presentations to be given at events at TU Eindhoven and TU Delft. If any of the items suggested interest you and you have time, money or expertise to help, please let us know. 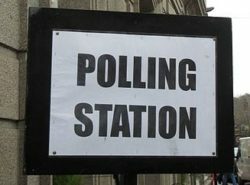 Results of the previous polls taken in 2015 can be found here and here.